We specialize in a wide variety of fence systems for commercial, residential, and agricultural needs. Tall or short, big or small; We can do it all! Call us today to put Chainlink fencing around any area! Recreational, Residential or Commercial Black and Green Vinyl Chainlink also available. Custom design and fabrication of wood fence panels. The most cost friendly option, for your security and privacy needs. The flexibility of what we can do with wood is tremendous. Make your home more inviting with Hand railings. Add on to any porch or steps for an attractive, finished look. We can design your handrails to match any style of home! Aluminum can be elegant and it doesn’t rust! Our prices are excellent and our service is second to none. Call us to find out why Ultimate Fencing is the areas best fencing company. Vinyl fencing has changed a lot in the last few years. Semi & Private? Many colors and styles are available, let’s chat about options! T-post and wire fencing can be both a functional and economical way to enclose an area. A specialty of ours. No one can match our price and deliver the highest level of service like we can. Call us today so we can answer any questions and provide you an estimate. Are such an important service we provide. Need customization specific to your needs? We provide in house manufacturing and customization. Call us and we can provide you with options! Having the ability to manufacture “In House” specific to your needs ensures you will receive the highest level of service at a cost most can not compete with. Please call us for an opportunity to earn your business. We can break down and remove existing fencing to make room for a new one. No job to big or small. Call us today for a quote! A core specialty at Ultimate Fencing. Do not hire anyone until we have the chance to show you why Ultimate Fencing receives five stars job after job! Please call us or submit a quote request on our website. We have perfected the art of installing automated gates. We are an Authorized Dealer of GHOST Controls and Controlled Products Gate Operators. We serve all of Leon and surrounding counties, including Wakulla, Gadsen, and Jefferson. We have over 12 years of fencing experience and we are licensed and insured. We invite you to contact us at 850-222-5446 so we can help you achieve the Ultimate Fence for your property. We are a proud Tallahassee based locally owned company specializing in all types of fencing including residential fencing and commercial fencing. Welcome to the home of Ultimate Fencing. Locally owned and operated business located in the Capitol Cityof the Great State of Florida. We specialize in a wide variety of fence systems for commercial, residential, and agricultural needs. We offer free on site estimates providing you the right fence solution. Start to finish product and service management and communication. 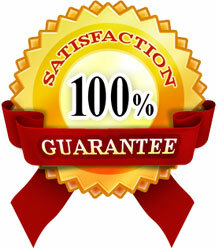 100% warranty of fence installation for 1 year. We only offer exceptional quality chain link, PVC, aluminum, and wood products… the best products on the market. All employees, no subcontractors! was not easy. The world of fencing is vast. There are so many styles, material choices, and applications that it is easy to get confused. We want to help!